Home / Nursing Careers / Nursing Education / What is the TEAS Test for Nursing Students? What is the TEAS Test for Nursing Students? If you are thinking about applying for nursing school, you have probably heard about the TEAS exam. The Test of Essential Academic Skills (TEAS) is a standardized, multiple choice entry exam for nursing school. This test is designed to help nurse educators assess whether students applying for their nursing program have a basic level of competency they need to be successful in nursing. Getting into nursing school is pretty competitive and this test is one more step that will help you determine whether you have what it takes to be a nurse. 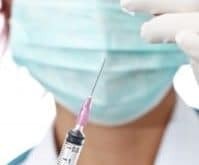 In fact, The American Association of Colleges of Nursing reported that nursing schools in the US turned away over 40,000 qualified applicants due to a shortage of nurse educators. The TEAS test contains 170 items that can be taken as a paper and pencil or computer exam. The test items are created by nurse educators across the country and the exam is administered through Assessment Technologies Institute (ATI), LLC. 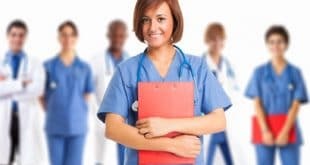 If you are considering a career in nursing this article outlines the strategies you need to take to prepare for the TEAS exam. Educators in various disciplines (including nursing) write the exam questions. On the computer version of the test, the items are drawn from a large test bank to create various forms of the test. Math – sub-test measures whole numbers, fractions, algebraic equations, percentages, ratio/proportions (45 items, 56 minutes). Reading – sub-test covers paragraph comprehension items where inferences or conclusions must be drawn (40 items, 50 minutes). English & Language – sub-test measures knowledge of punctuation, grammar, spelling, and sentence structure (55 items, 65 minutes). Science – sub-test covers science knowledge and reasoning, biology, anatomy, physiology, general science, chemistry (30 items, 38 minutes). The test has four sections that must be completed in 209 minutes. You will receive your test results within 48 hours after taking a paper and pencil exam and immediately after completing the computer-administered exam. You can always visit the www.atitesting.com to check your scores after the exam. The cost of the exam can range from $25 to $60 or more, depending on the testing site. There are ways you can prepare for the test and increase the chances that you will be successful. The more time you spend answering sample questions, identifying your weakness, and working to improve your scores the more likely you will be to get the score you need to be accepted into a nursing program. There are a variety of websites that offer free online practice questions. Some of these websites even provide you with an exam report so you can identify the subject areas you need to review. You can use this opportunity to review your weaknesses and then take another practice exam to see if your review resulted in a better score. Review and retake practice exams as often as you desire in order to improve your chances of getting a high score on the exam. Set aside 4 hours to complete the exam at the testing facility. The test is offered in each state and you can visit ATI website for a list of testing locations. Here are some strategies you can employ to help you have a successful exam day. Exercise or engage in physical activity the day before the exam. Go to bed at a reasonable hour the night before the exam. Eat a healthy, nutritious breakfast the morning of the exam. Arrive to the testing facility early so you can acclimate to the environment. Bring your ATI testing ID number, several number 2 pencils, your registration receipt, and a valid photo ID. Leave your cell phone, calculator, and other electrical devices at home or in the car. When registering for the test you can have your scores sent directly to the program you are applying. Most schools allow you to retake the test but you’ll have to wait at least 45 days before you are eligible to retest. Some nursing programs only allow the students to retake the exam 2-3 times before they forfeit eligibility. The TEAS test is one way to help you determine whether you have what it takes to be successful in nursing school and later as a nurse. Nursing is a challenging profession that requires individuals to think quickly, make difficult decisions, and function professionally in a stressful working atmosphere. Give yourself plenty of time to prepare for the exam and follow these test taking strategies and you should be well on your way to becoming a nurse.